In 2018, the Pharma Services biologics business within Thermo Fisher Scientific, supported the commercialization of two new therapeutics for its clients. The St. Louis, Missouri and the Groningen, Netherlands sites both completed FDA Pre-Approval Inspections (PAIs) and received Establishment Inspection Reports (EIRs) for the commercial manufacture of biologic therapies. The St. Louis facility has been producing other approved drugs for over a decade. The Groningen facility has supported a number of additional regulatory inspections for multiple regulatory authorities. Both sites are now approved to ship the two new commercial products. 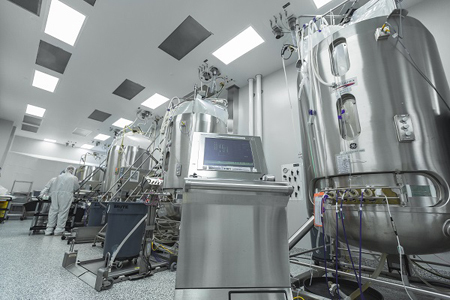 The St. Louis and Groningen sites join an extremely limited number of CDMO sites that have recently passed FDA PAIs using single-use bioreactor technology. Thermo Fisher continues to expand its outsourcing capacity to meet the continued strong demand for commercialization services. For more information on Pharma Services’ large molecule biologics commercialization capabilities, please visit https://patheon.com/commercial-manufacturing-services/large-molecule- commercialization/.